As a Project Management company, you may expect us to advise you to outsource all of your projects. Not so, at PM PROjEN we recognise that there will always be some projects which are better managed (in full or partially) in house. PM PROjEN can support and train your business to use professional project management procedures and systems without the need to spend many years developing and perfecting them yourself. PM PROjEN’s project management training service is not the typical generic two or three day course which explains the principles of project management and then expects the delegate to return to work and get on with it…. it is the complete package. 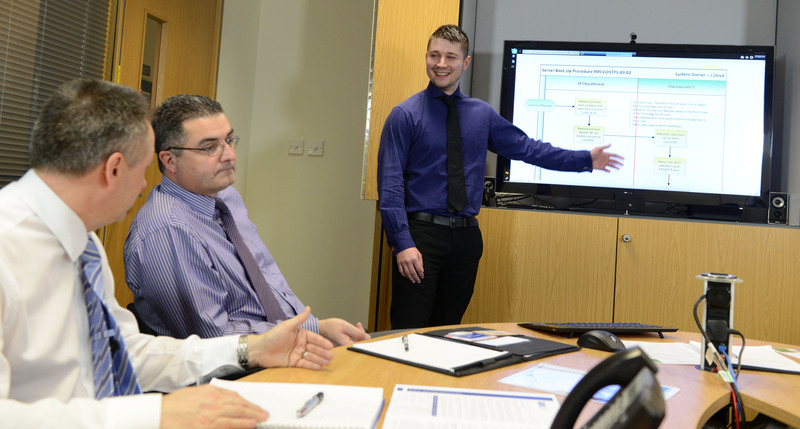 Not only do we provide the theory, but we also provide the practical tools, processes, documentation and ongoing support, all of which are tailored to your organisations specific needs. In engaging PM PROjEN you will be taking advantage of our award winning procedures that we have developed over many years and use ourselves in our day to day activities. PM PROjEN can also offer simple web based software to track and monitor the progress of both individual projects and the portfolio of projects as a whole. In addition to providing your personnel with the tools to do the job, PM PROjEN can also assist with peak periods of work. You manage the base load of work and where the necessary resource is unavailable internally, PM PROjEN can assist, using the same procedures and thus providing a seamless service.